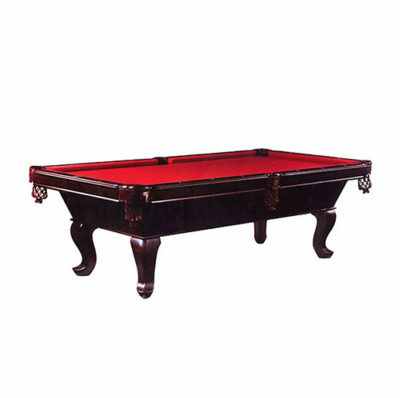 The contemporary design of The Modesto make this a one of kind billiard table. 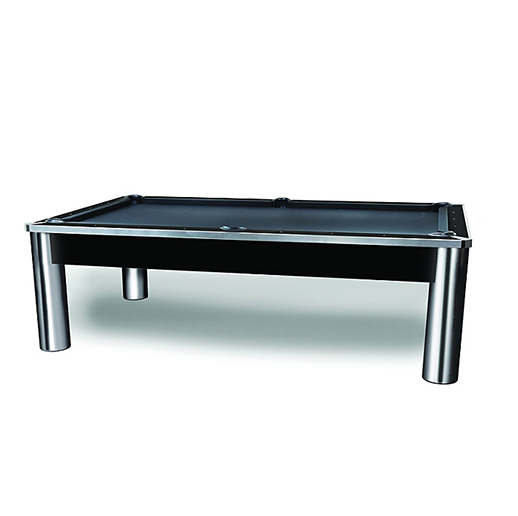 The chrome and silver finish accents and chrome pillar legs highlight the clean design. 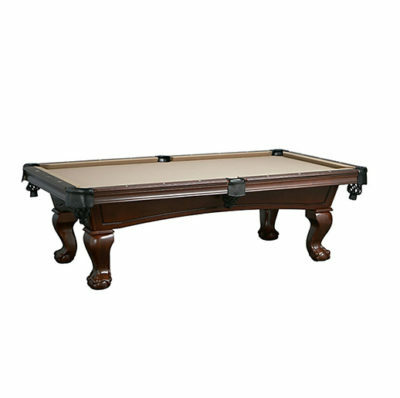 The table features a 1-inch slate bed, internal leather drop pockets, full profile K66 master speed cushion rubber, and massive 7.5-inch extra wide rails to assure excellent play. 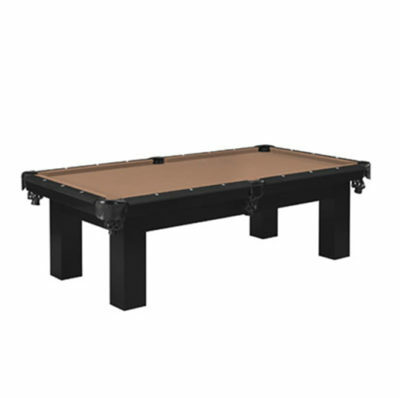 The table is designed with metal to metal connectors for ease of assembly and to provide stability. Heavy gauge precision metal brackets are used to connect the cross members and the leg mounts. The Modesto will make a statement in any home!